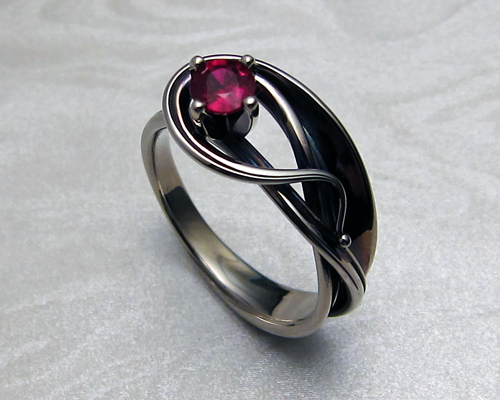 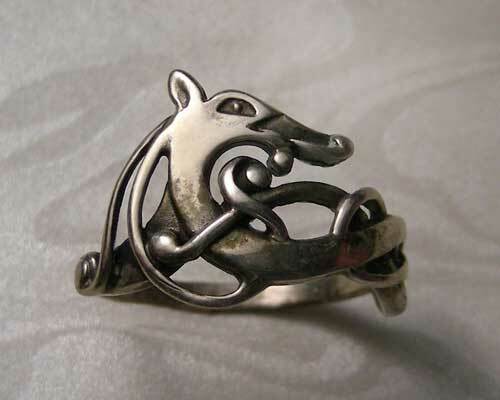 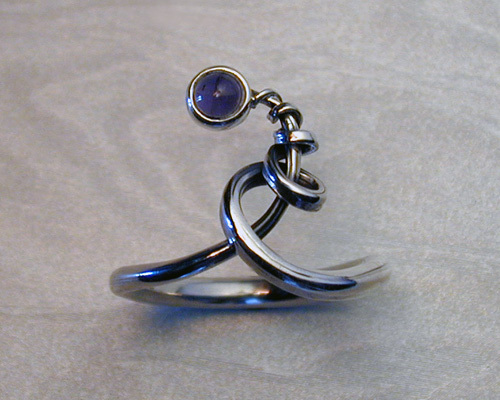 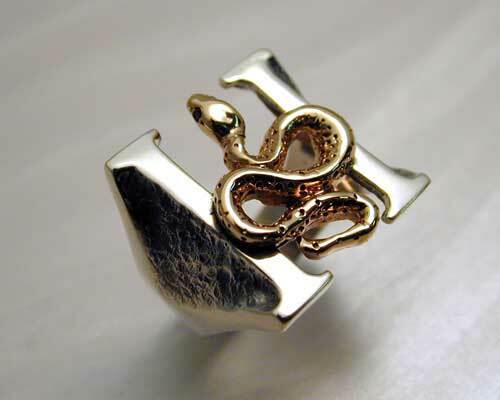 Handcrafted, Art Nouveau style ring. 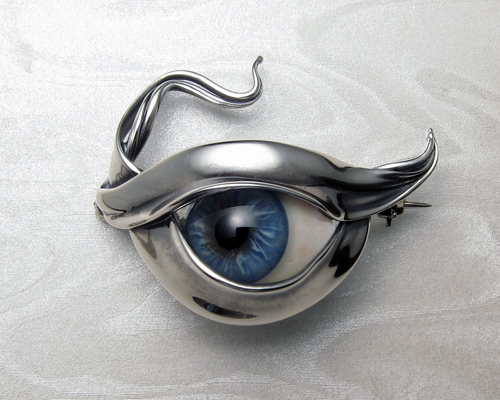 Contemporary art-nouveau brooch with baroque-pearl. 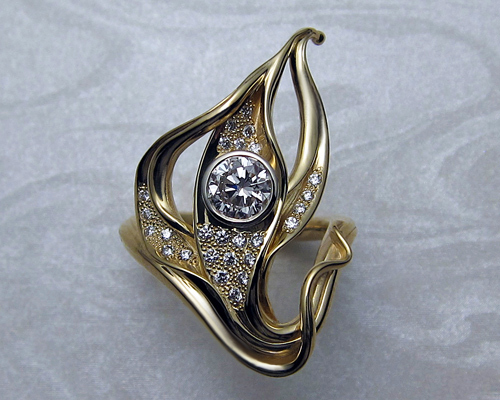 Calla Lily ring. 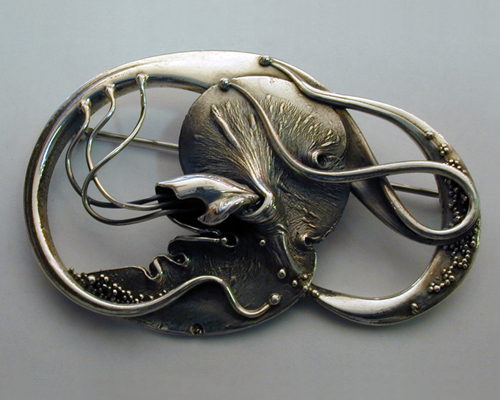 "contemporary art-nouveau"
Musical, fluid organic freeform brooch. 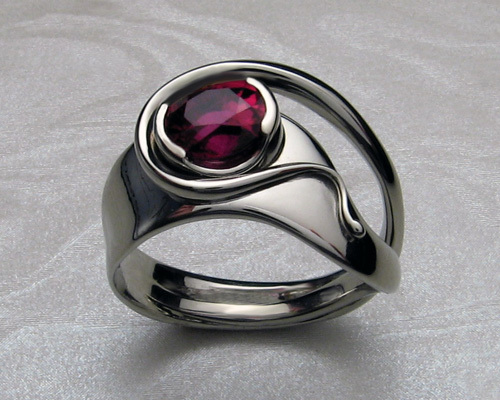 Fluid freeform band with ruby. 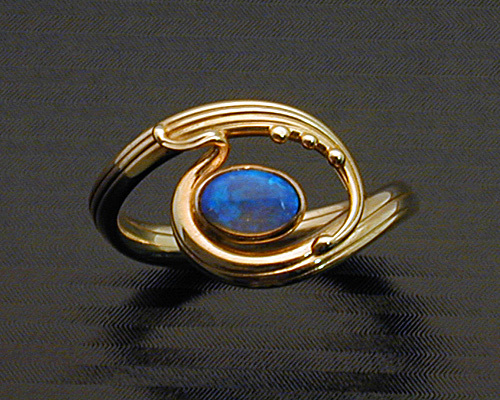 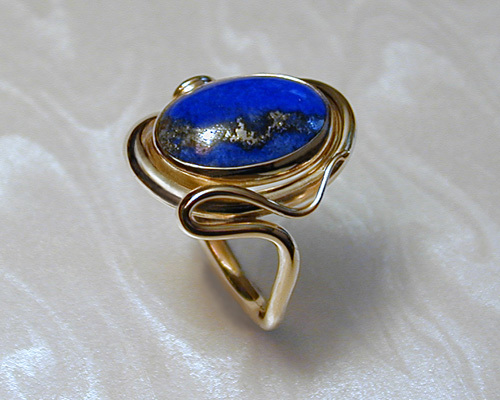 Free-form ring with lapis lazuli. 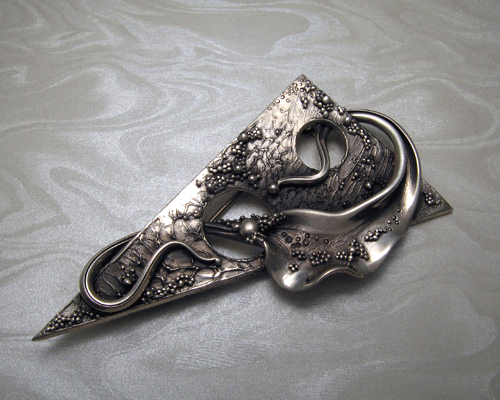 Handcrafted, organic free-form, triangular brooch with spherical granulation. 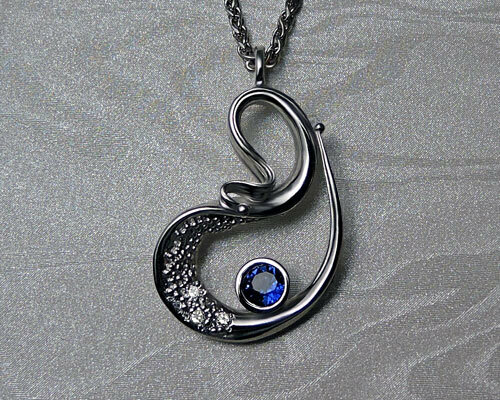 Free-form, Art Nouveau drop pendant. 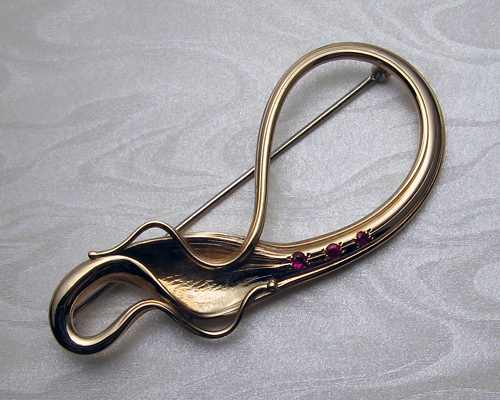 Musical, organic,Art Nouveau, free-form ruby brooch. 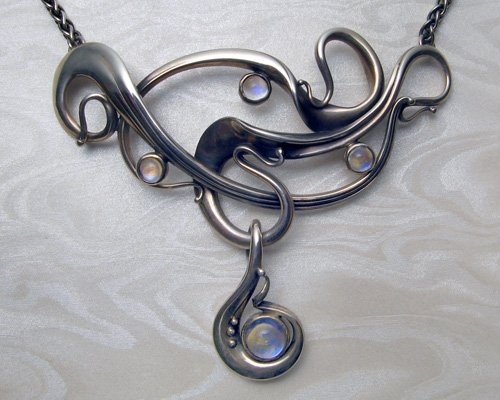 Asymmetrical, fluid, organic free-form necklace with blue moonstones. 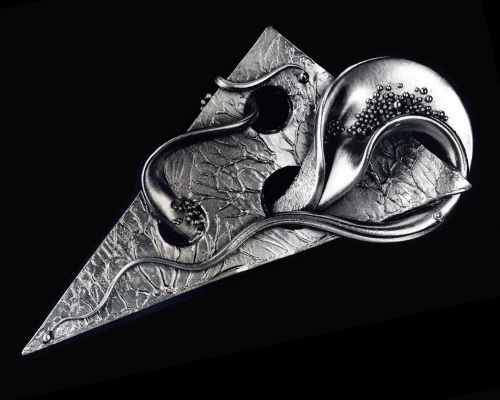 Musical, fluid, organic, freeform brooch. 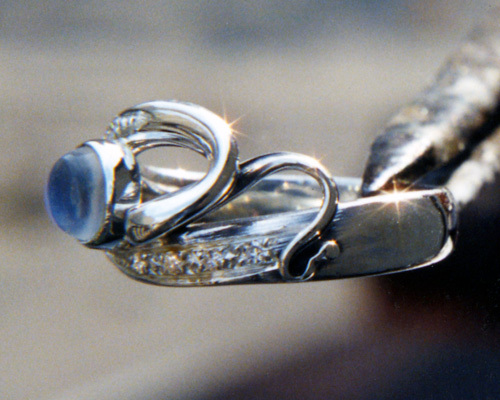 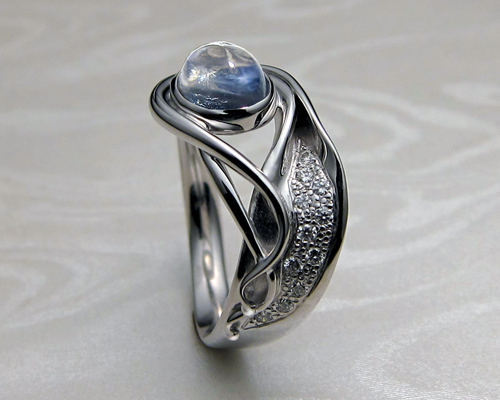 Organic, musical, freeform engagement ring, with blue moonstone. 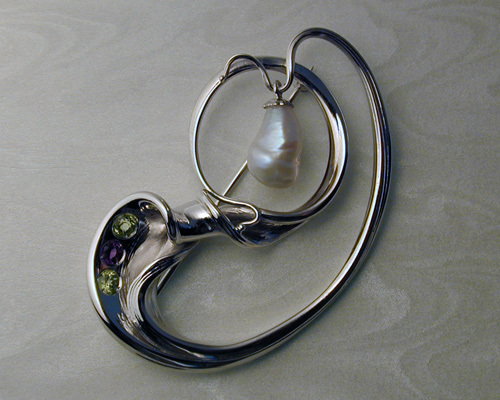 Contemporary art-nouveau earrings with baroque-pearls. 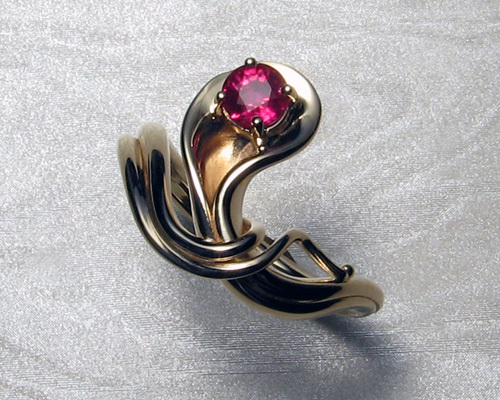 Contemporary art-nouveau ring with baroque-pearl. 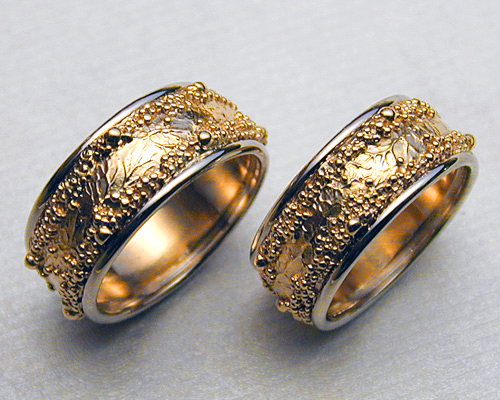 Wedding rings with spherical granulation and branch like textures. 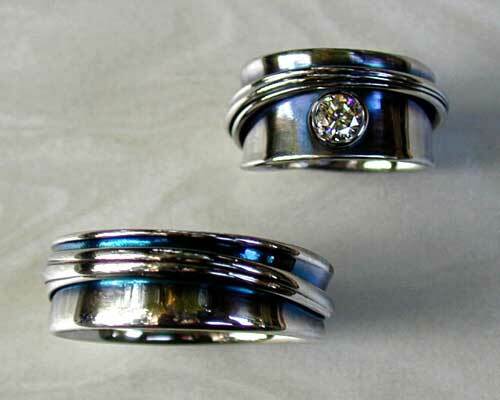 Fitted, organic freeform engagement-wedding-band set. 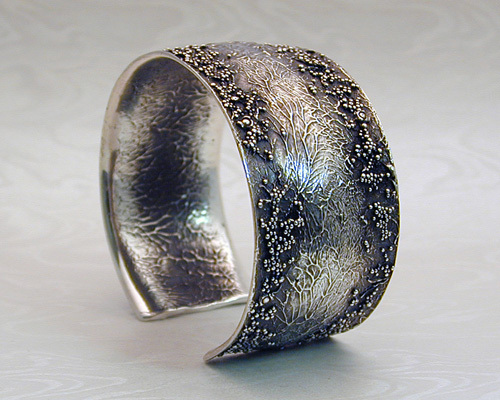 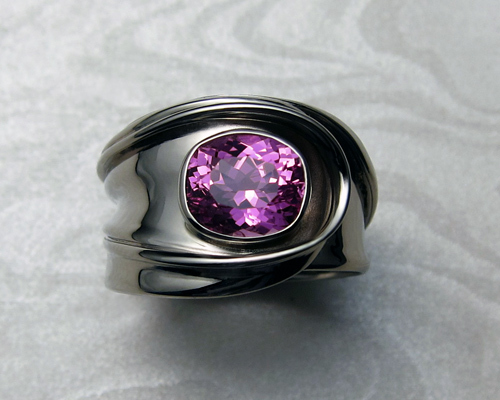 Fluid, organic, free-form, handcrafted wrap-a-round band with granulation. 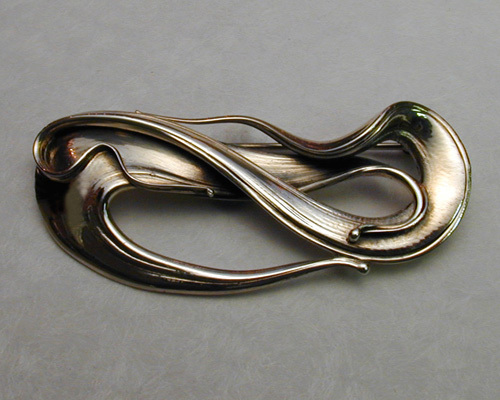 Very fluid, very organic, freeform brooch lapel pin. 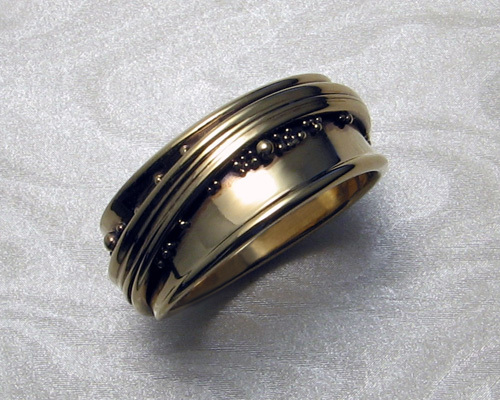 Wrap-a-round wedding ring with granulation. 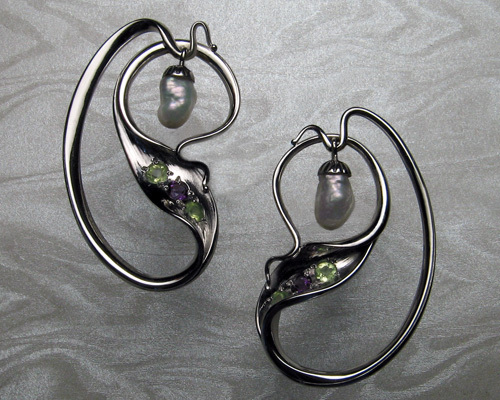 Freeform earrings with blue moonstones. 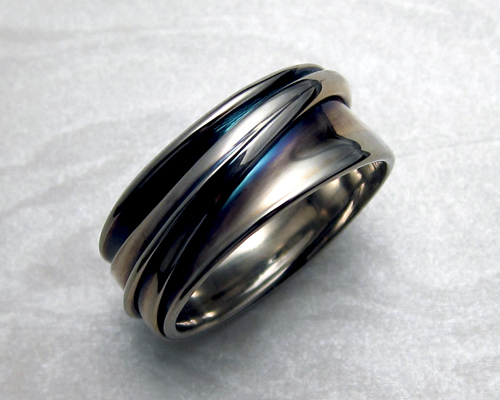 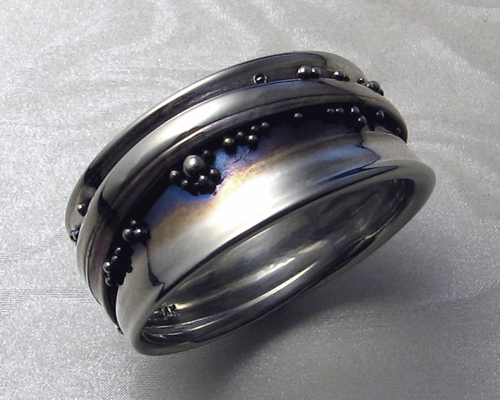 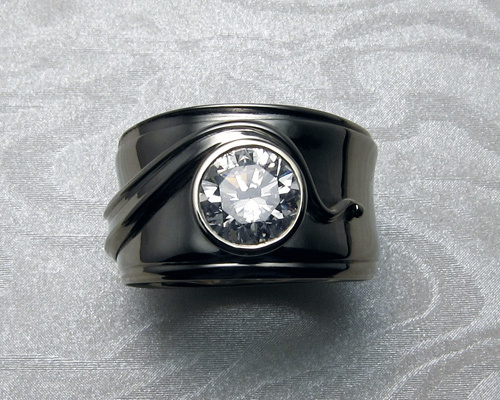 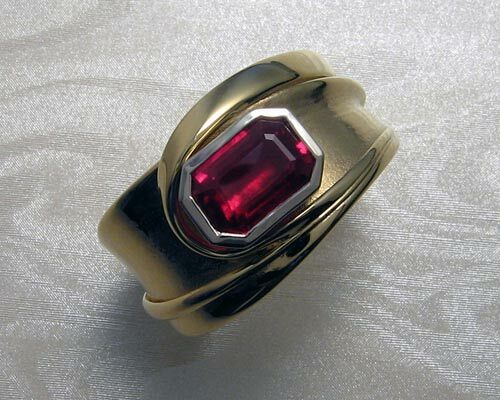 Free-form gents wedding-ring with black star sapphire. 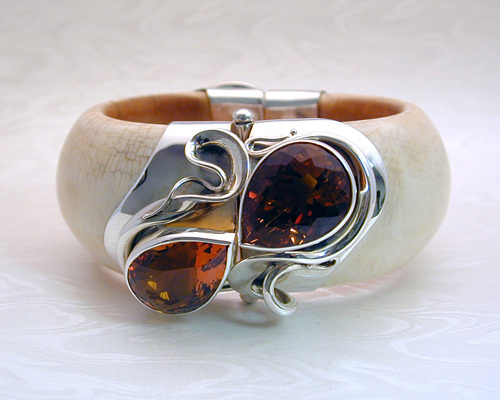 Organic, interwoven multiple strand free-form band. 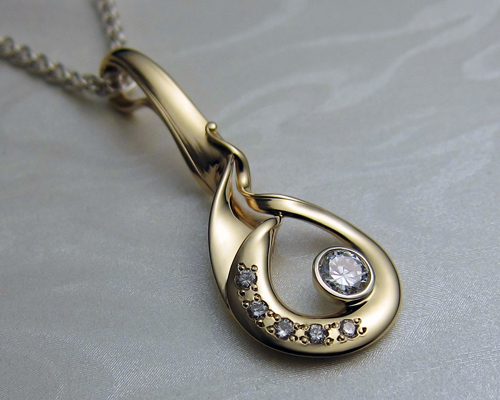 Fluid, organic, free-form drop pendant with diamonds. 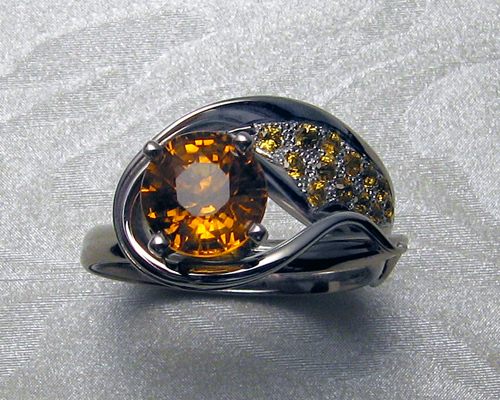 Asymmetrical engagement ring with orange sapphires. 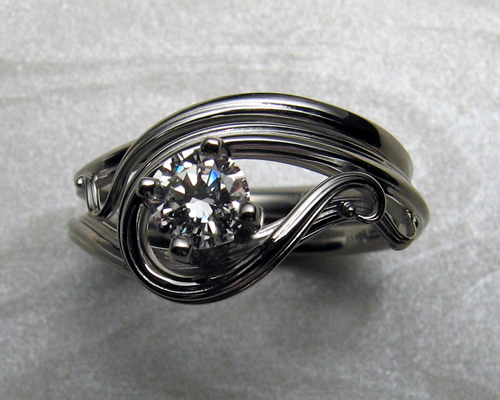 Organic, art nouveau style engagement ring set. 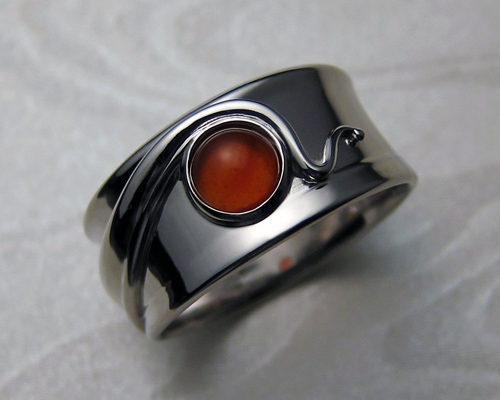 Wraparound free-form band with carnelian stone. 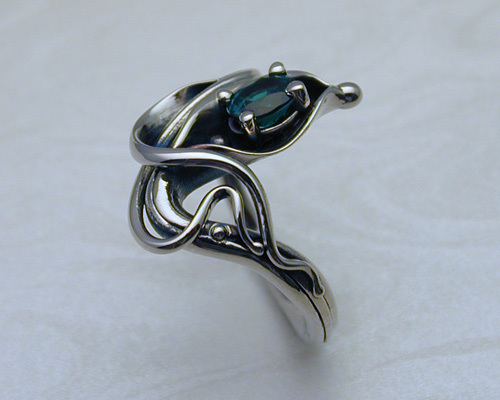 Custom made, freeform pendant with emerald. 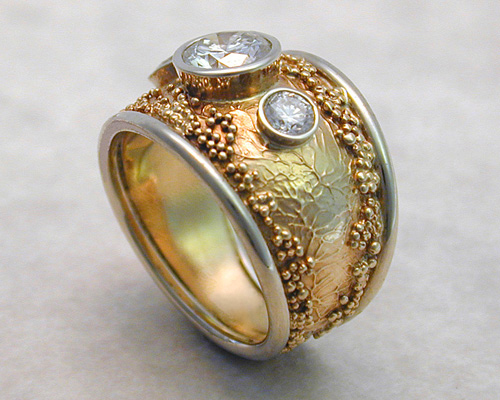 One_of_a_kind, engagement ring with granulation. 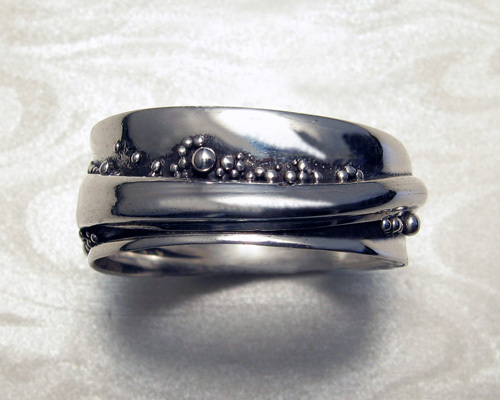 Free-form, wrap-around wedding band with granulation. 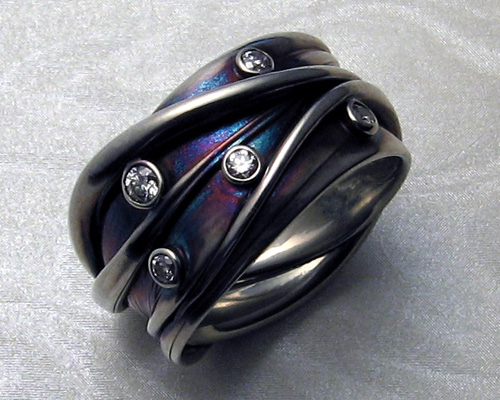 White gold band, continuous wrap with patina. 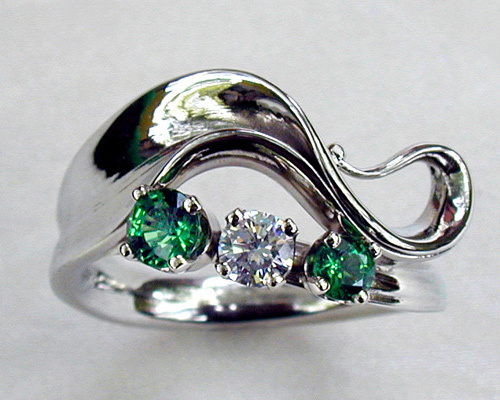 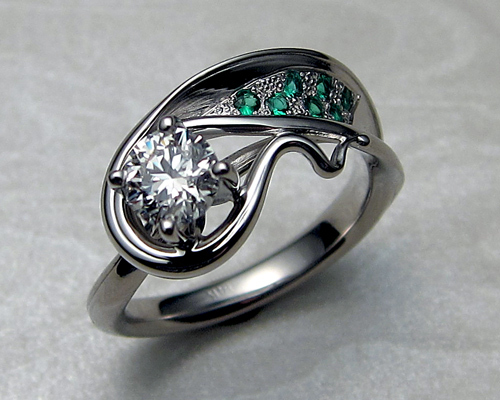 Asymmetrical, free-form, engagement ring, with diamond and emeralds. 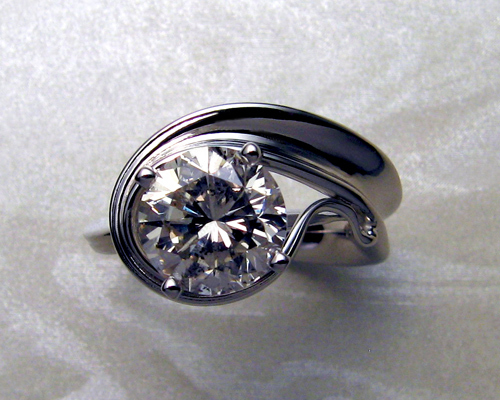 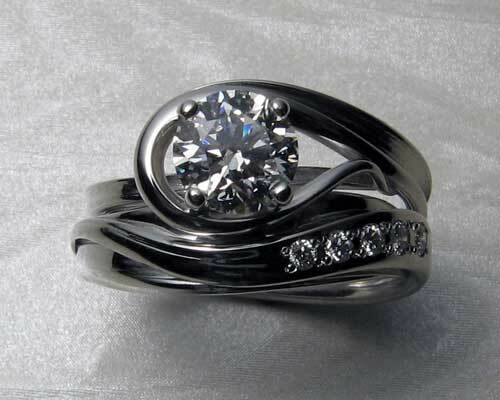 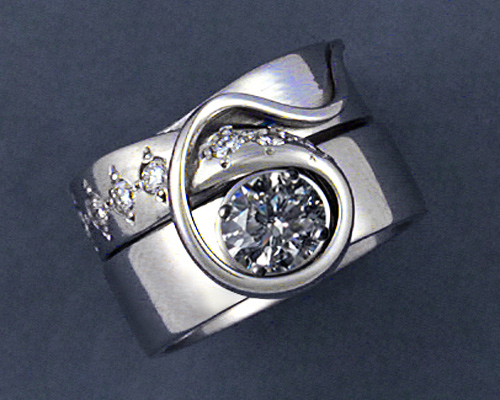 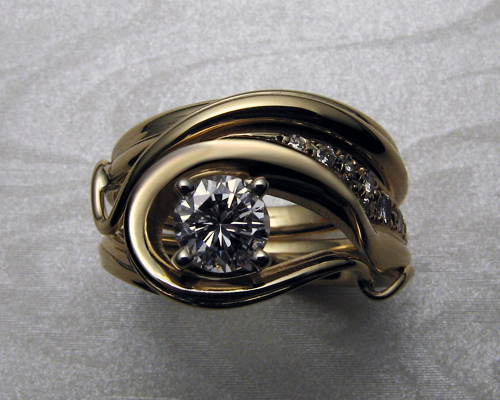 Wide, free-form engagement band with diamond. 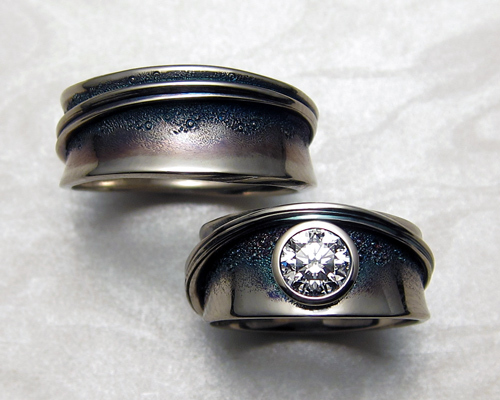 Fingerprint wedding - engagement bands. 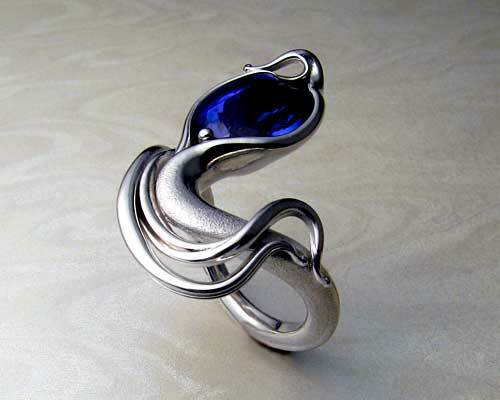 Fluid, free-form, right hand ring. 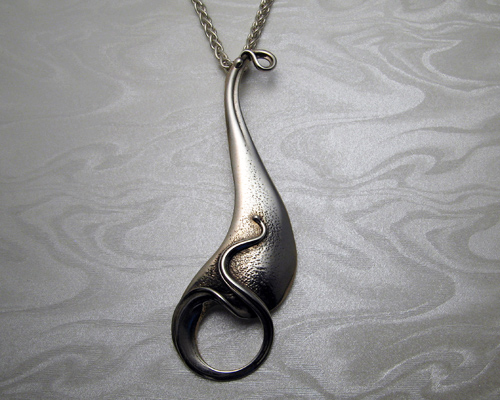 Art Nouveau, free-form drop pendant. 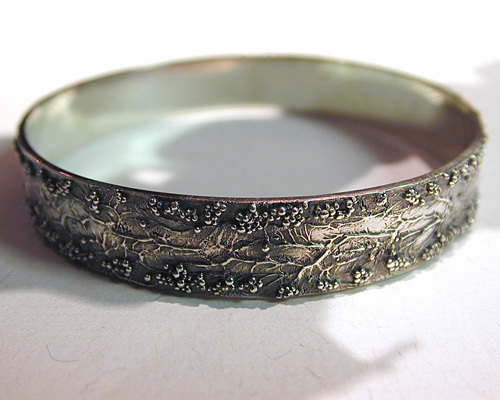 Sterling silver with patina.